Do you love the smell of a fresh peach pie? 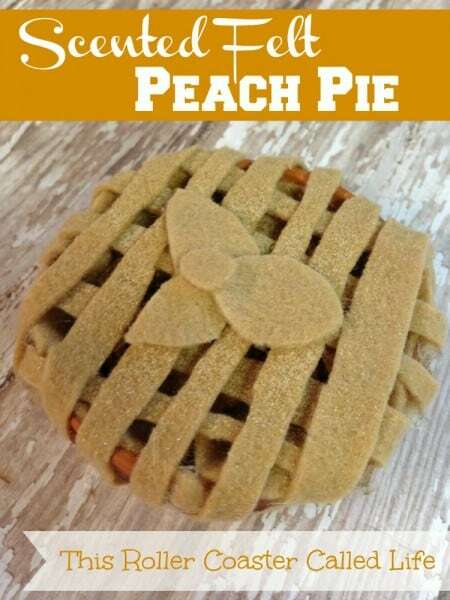 Then, you need to give this scented felt peach pie a try. 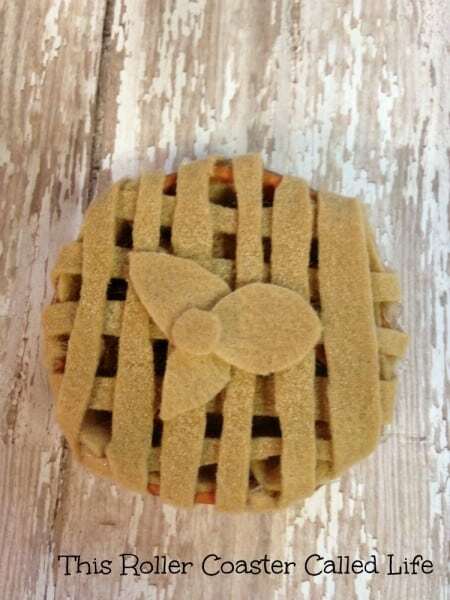 With just a few supplies, you can make your own felt peach pie that looks adorable and smells like the real thing. 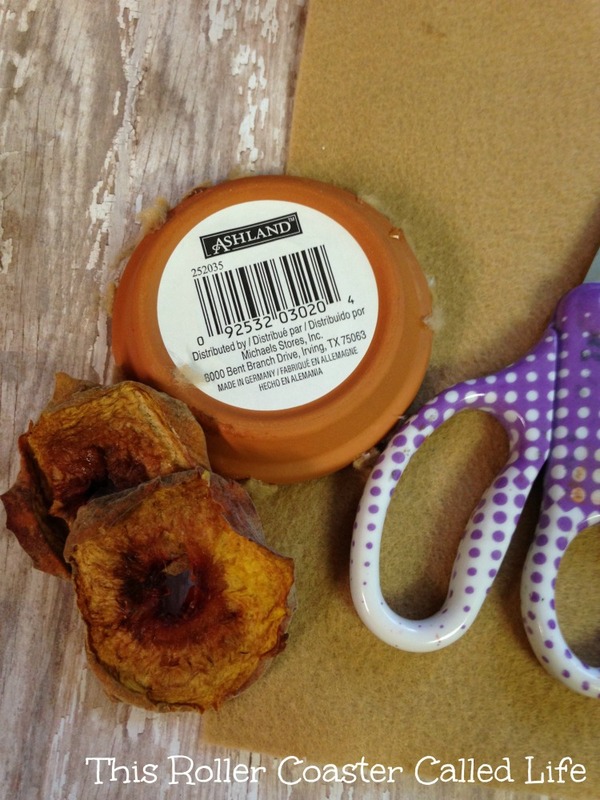 It makes a great gift or just a fun and frugal afternoon project. 1. First, you need to dry the peaches that will be going in your pie. To do this, rinse them well (especially if you used canned peaches) and place them on an oven rack. Sprinkle them with the brown sugar. 2. Bake the peaches at 275 degrees for about 90 minutes or until dry. Remove and allow to cool. 3. Slice the peaches into small strips that will fit inside of the terra cotta saucer. Set aside. 4. Trace the saucer onto the felt. Cut out the circle slightly larger than the circle stencil you made. 5. Place the circle of felt in the saucer. Press it into place. Fill it with the dried peach slices, cinnamon, and nutmeg. 6. Now, create the topping for your pie. Cut strips and criss cross them over the top of the pie. 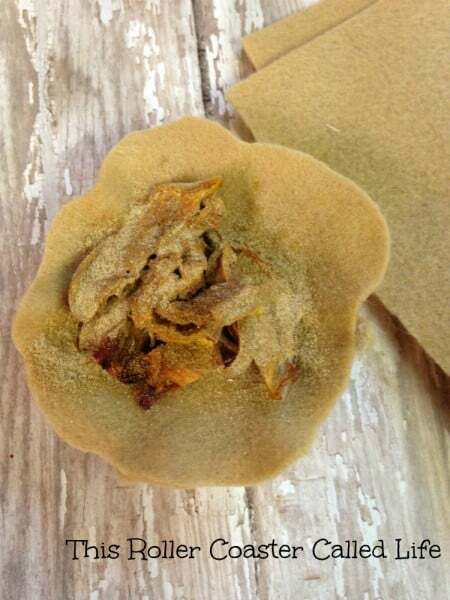 Add a dab of glue to the ends to secure them to the pie. 7. Finish with an embellishment such as a heart cut from the felt. Your scented felt peach pie is now complete! Now all you need to do is set it out and enjoy. It not only looks cute, but you will love the scent it gives off.